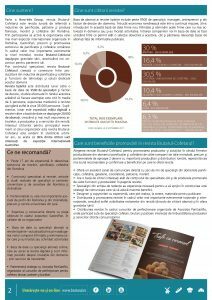 The specialized content of the magazine (technical articles signed by well-known researchers and university professors, specialists from professional associations or experts in innovative technologies) creates a link between those who bring new information about the sector and those who can use this information in order to improve products they offer to consumers. The products and services advertised by the suppliers of ingredients, equipment and other dedicated solutions on the magazine’s pages complete the specialized content, bringing the available offers closer to the operators on the market in order to modernize or improve production processes and product portfolios. 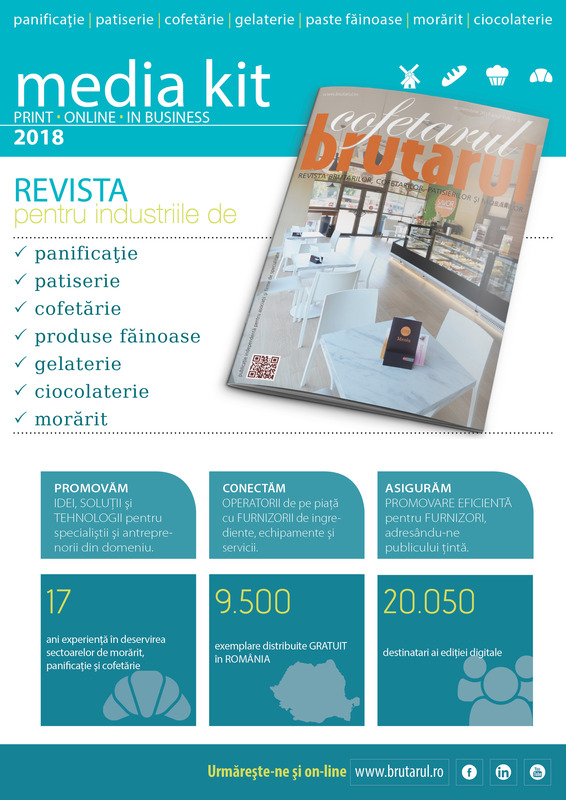 Thanks to the active involvement of Brutarul-Cofetarul magazine in the events dedicated to the industry’s suppliers and operators, the magazine arrives to numerous experts and specialists from Romania and abroad, not only to the 9500 subscribers of the print magazine [link distributie]. 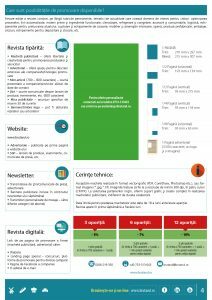 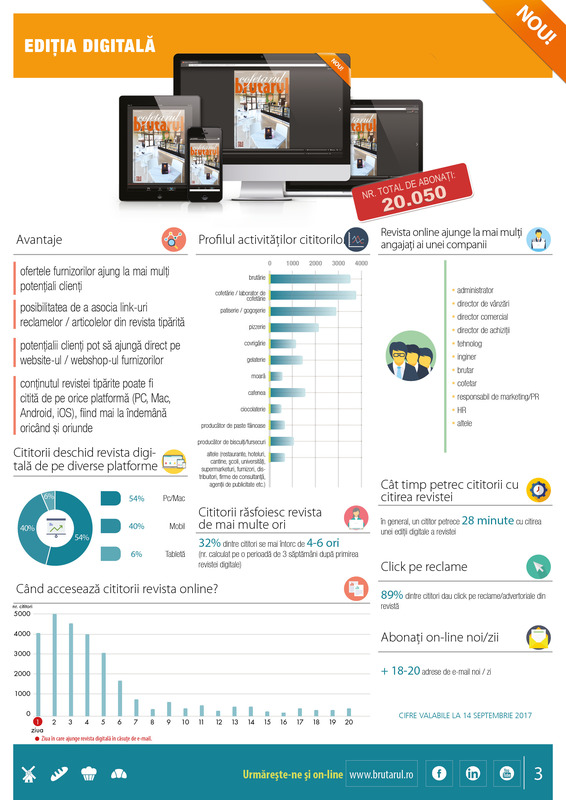 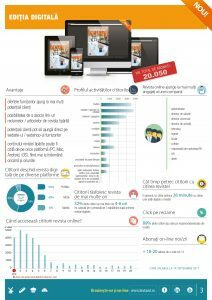 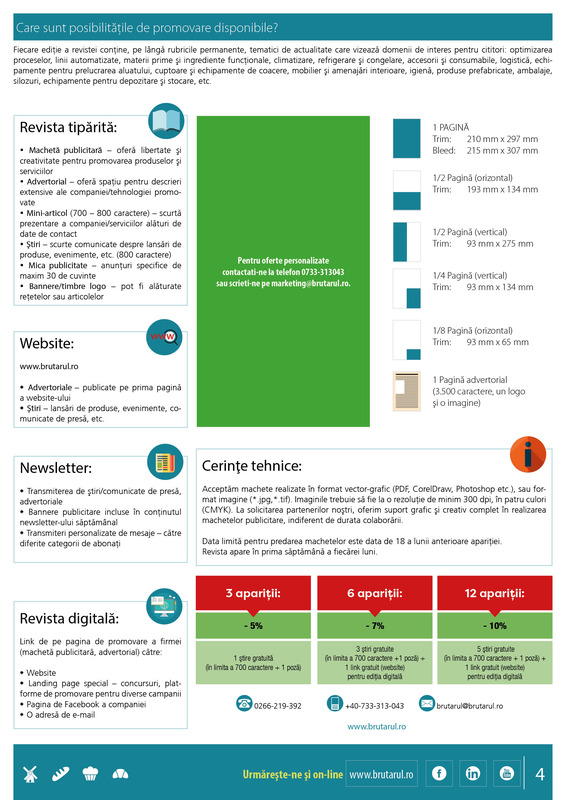 The magazine’s Media Kit contains the most relevant information about advertising in Brutarul-Cofetarul magazine, the available opportunities, and the advantages that providers can benefit from by choosing this method to communicate directly with potential clients. 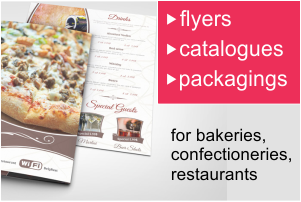 Each edition of the magazine contains, in addition to permanent columns, current topics relating to areas of interest of the readers: process optimization, automated lines, raw materials and functional ingredients, air conditioning, refrigeration and freezing solutions, accessories and consumables, logistics, dough processing equipment, baking machinery and equipment, utensils, furniture and furnishings, hygiene solutions, prefabricated products, packaging, silos, storage equipment, etc.